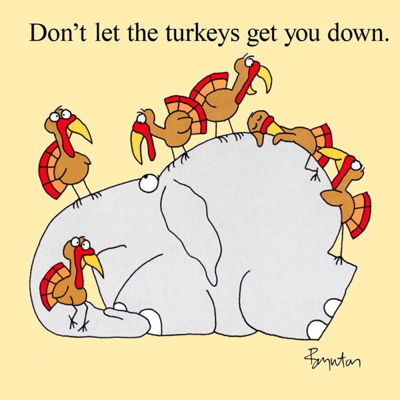 Here is an elephant (and some turkeys) for you to appreciate, courtesy of Sandra Boynton. 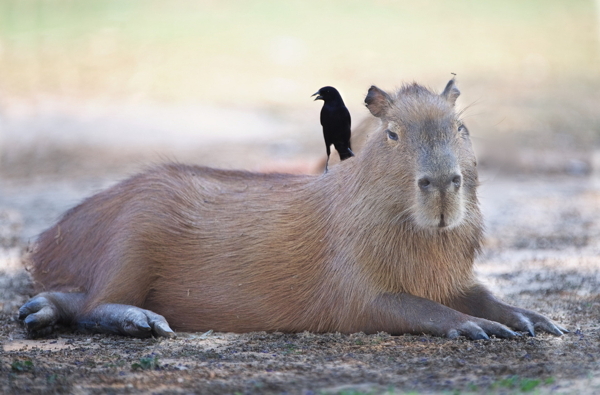 Your Flopcast hosts are very fond of capybaras. This one might be wishing the bird would "go away", but manages to look relaxed nonetheless. Check out this self-explanatory tumblr for more photos. 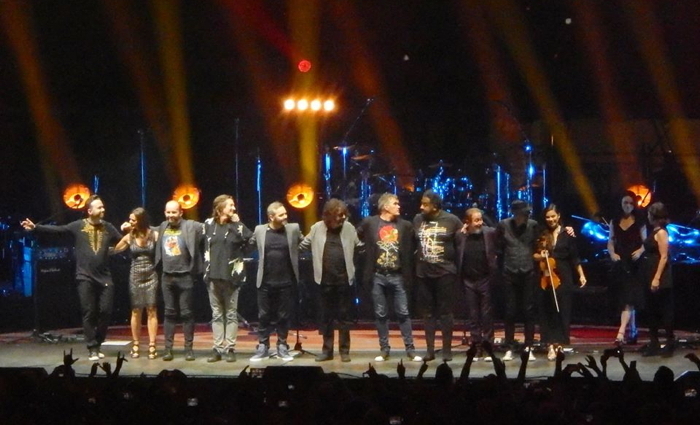 Felicity's friend Tom managed to get some excellent photos at the ELO concert. This one appears to include all the band members! 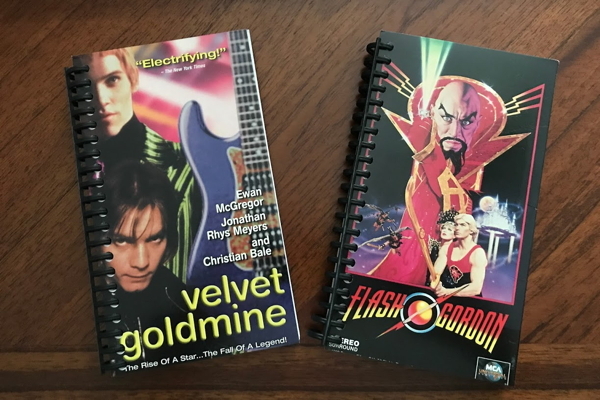 We were delighted to catch up with Rich, Donna, and Maria in Philadelphia, and not just because Rich gave us these really cool notebooks!